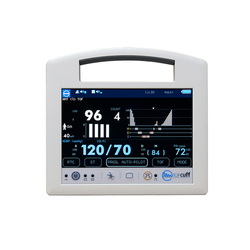 Prominent & Leading Distributor / Channel Partner from Bengaluru, we offer neuromuscular transmission monitor. New Muscular Relaxation monitoring device during anaesthesia, with an amazingly quick and easy set-up system that reduces start-up time to a few seconds. Its exceptional AUTO-PILOT system enables the anaesthesiologist initiate by simply pressing a button. New Muscular Relaxation monitoring device during anaesthesia, with an amazingly quick and easy set-up system that reduces start-up time to a few seconds. Looking for Neuromuscular Transmission Monitor ?